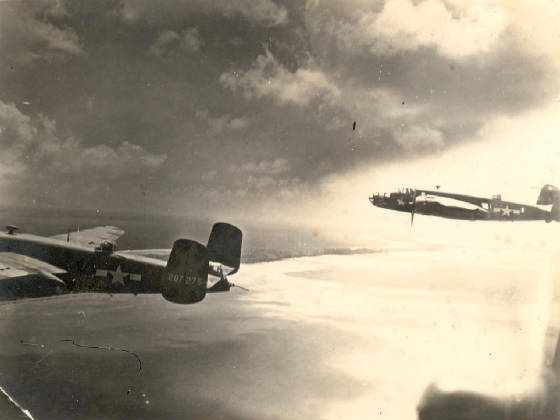 The 41st Bomb Group attacked targets all over the Marshall Island chain. "Lady Godiva" enroute to a target in the Marshall Islands. Mili Atoll is part of the Marshall Island group. 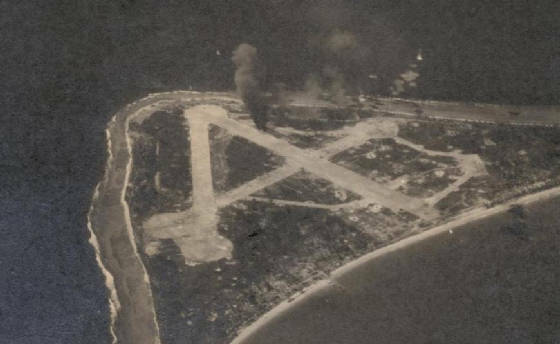 This atoll's airfield was attacked many times by aircraft from the 41st Bomb Group. If you look carefully you can see several bombs exploding in the top, center part of the photograph. On 30 January 1944, during Mission #90, "Lady Godiva" sank a Japanese ship just offshore of Wotje Island. 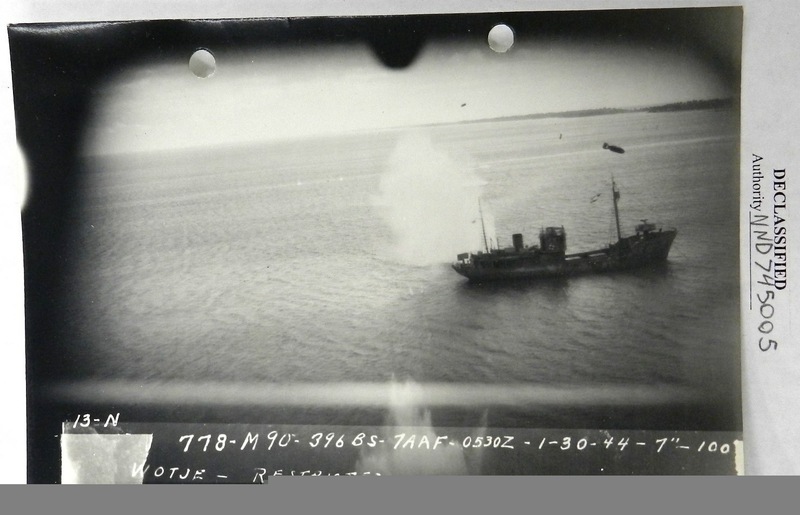 This picture is taken from the tail gunner's position of "Lady Godiva" and shows the first bomb land just short of the ship making a huge explosion in the water and the 2nd bomb is shown in the air just above the ship prior to making contact.